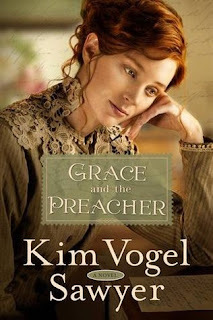 Award-winning, bestselling author Kim Vogel Sawyer is a wife, mother, gramma, chocolate-lover, cat-petter, and--most importantly--a daughter of the King! With more than 1.5 million books in print in seven different languages, Kim enjoys a full-time writing and speaking ministry. Her "gentle stories of hope" are loved by readers and reviewers alike. Kim and her retired military husband, Don, reside on the plains of Kansas, the setting for many of her novels. This was a nice book about the story of a lady who just wants to live a happy life. The author did a good job of capturing the time and place setting in this book. As with previous books I have read of hers she did a good job in developing the characters. The romance is nice but it is not overpowering. There are also some other things you can learn from this book like forgiveness. As Grace learns. A good book that will keep you entertained.